If you're receiving an error that your Facebook posts are failing, you may need to remove and update the app within Facebook. Below are the steps to completely remove it, reset and refresh your tokens, and get it back up and running. 2. 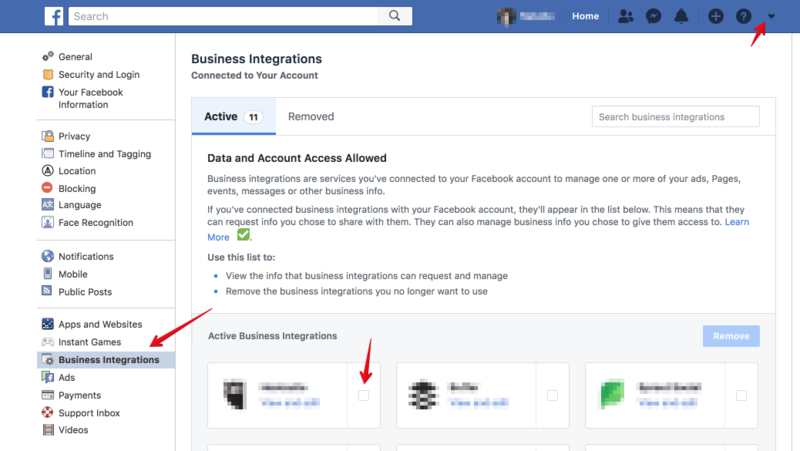 Navigate to Settings > Business Integrations. 3. Search for the Post Planner App. 4. Click on the ❌to remove the Post Planner app. 5. Once removed from Facebook, logout of your Facebook account. 6. Clear your browser's cache and cookies from the beginning of time. 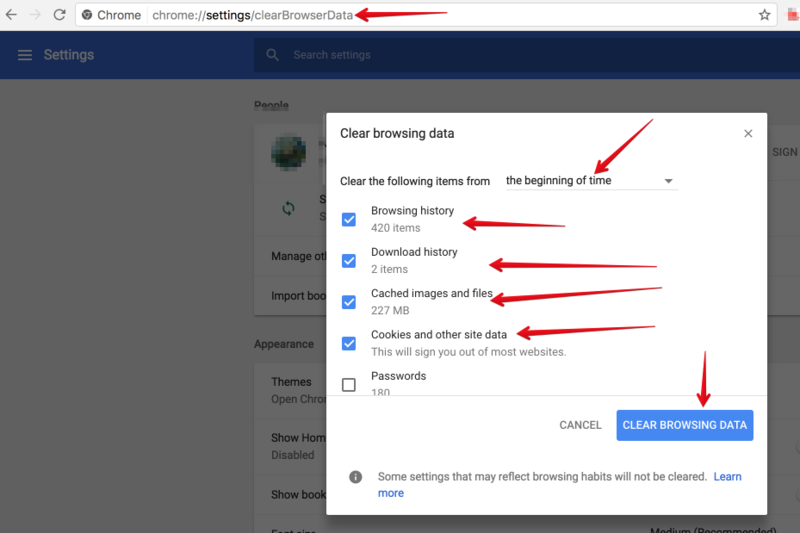 For chrome, here's how to do it. 7. Now close the browser. 8. Once fully closed, re-open the browser. 9. Launch Facebook and login. 10. Open another tab on the same browser, and launch https://love.postplanner.com. 11. 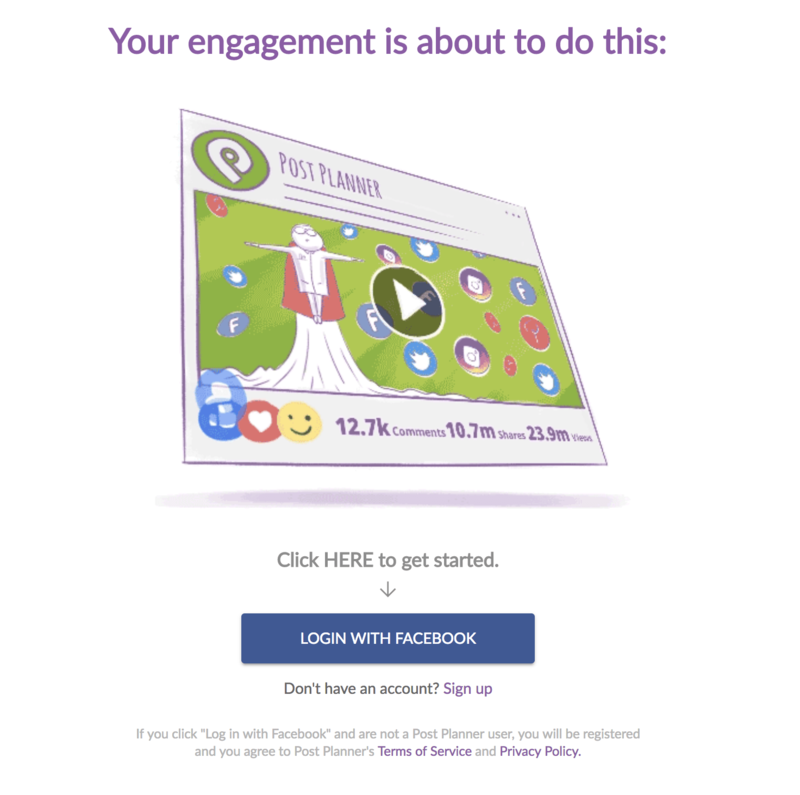 Click on the "Login with Facebook" button on the Post Planner landing page. 12. Click "accept," and agree to every prompt which appears in the pop up for Facebook Permissions. 13. Once you're logged in to the Post Planner app, navigate to Settings > Social Networks and click on the refresh button.